This year marks the 70-year memorial of the Second World War in The Netherlands. With the passing of time, fewer people that consciously experienced this war are still alive. This results in a decreasing number of eye-witness accounts. Soon there will be no one left to tell the stories. Dutch photographer Pim Huijsmans (Fotovakschool Amsterdam, 2015) went out in search for these last witnesses. 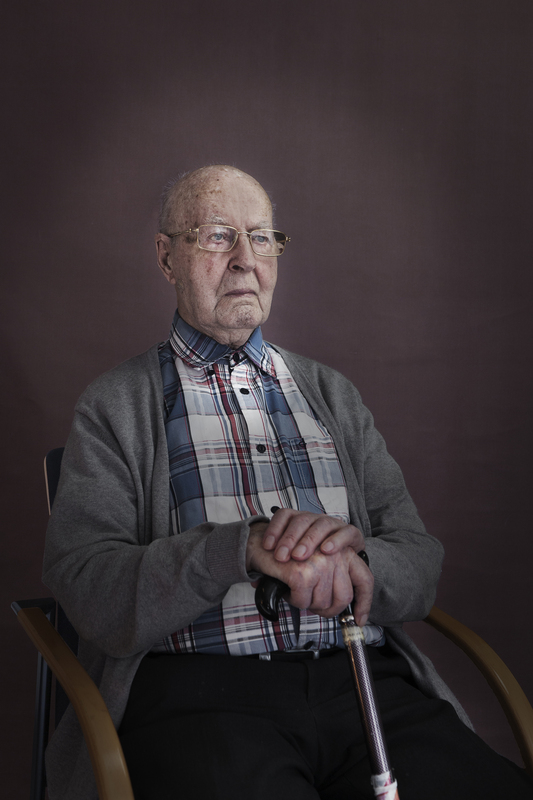 For his series 40 faces, 45 stories he photographed 40 survivors during interviews in which they talked about their memories of the war. This resulted in a series of painterly portraits in which he literally captures the people and their stories before they pass away. The project can be seen as an attempt to create a monument, to remember the faces and their stories, honouring the survivors. The men and women are photographed as if they are unaware of the camera; appearing in deep thought over things that happened in the past. In their faces one can see sorrow and mourning, but at the same time they show wisdom and calm that comes with the years. Huijsmans portrays these men and women sincerely, with great subtlety, to tell the stories that should not be forgotten.